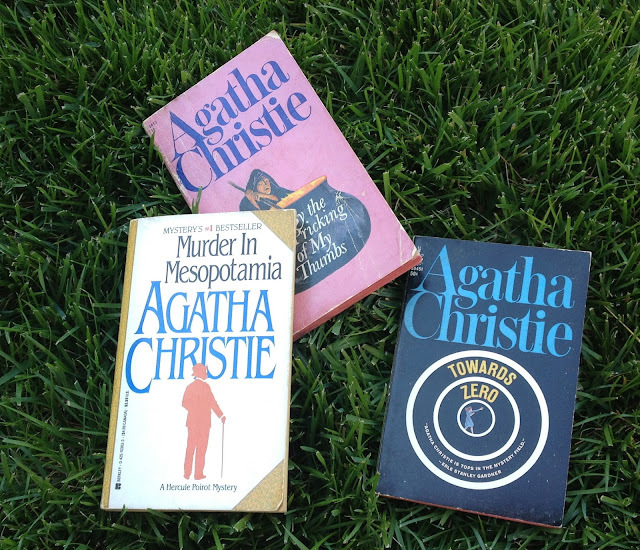 Mystery Playground: Are You Ready for A New Agatha Christie Novel? It's Agatha Christie week (September 15th - 22nd) so for the next few days we will focus on her work, life and legacy. Today we have a guest post from Kerry Hammond. BBC News recently announced that the character of Hercule Poirot, Agatha Christie’s egg-headed Belgian sleuth, will appear in a new book. Writer Sophie Hannah has been chosen by Matthew Prichard, grandson of the late Agatha Christie, and his colleagues to write the novel, which is due to be published September 2014. This date is nearly 100 years after The Mysterious Affair at Styles was published, the book that introduced Poirot to the world in 1920. Diehard Agatha Christie fans like myself have mixed feelings about the new book. I am happy that the detective will live on, and excited to read something new. At the same time, I am nervous that the voice will be different. I feel that Christie’s way of writing is unique to her, and is highly influenced by the time in which she lived and wrote. Her detective novels are written in a simple way, and the language is not overly descriptive. Many of the books are heavy in dialogue and the reader must listen to what the characters are saying to get clues to solve the mystery. The focus tends to be on plot more than character development. Her plot twists never fail to surprise me as a reader, and when the last page is turned, I am always satisfied with the outcome. In a nutshell, hers are big shoes to fill. Characters living on past their creators’ death is not a new phenomenon. As the attached article mentions, several famous characters have had their series continued posthumously. Three different writers have worked to keep Ian Fleming’s James Bond alive and hunting bad guys. Robert B. Parker created Spenser and Jesse Stone, but Ace Atkins and Michael Brandman have kept them solving cases. Eric Van Lustbader took on the Jason Bourne series, when his creator Robert Ludlum passed away. In the cozy world, Blaize Clement’s Dixie Hemingway pet sitter series is now being written by her son John Clement. There will even be a new Jeeves and Wooster on the bookshelves soon. The very reason that these characters live on, namely their popularity due to the original author’s writing, is the thing that makes having another author continue them difficult. We fell in love with them for a reason, and will always wonder if a new author can live up to the task. As often as literary styles change, and readers and critics call out for different writing styles, there are some writers who just never go out of style. Agatha Christie’s books are still being purchased and read all over the world. If Sophie Hannah can use her little grey cells to channel Christie’s style and give Poirot a new case to solve, then I say let’s give her a try.